Home Whats On Arts and literature Beer and art come together for Urmston exhibition! Beer and art come together for Urmston exhibition! This Wednesday Art By Volume is holding its very first exhibition in The Assembly Beerhouse, Urmston. The project re-imagines classic and popular beers as a vintage vinyl series of prints, with proceeds of each print sale going to Shelter. The awesome prints, perfect for beer fans, will be displayed for the first time at The Assembly on Station Road in Urmston from 5pm this Wednesday 6th February. The beer house will be open for those looking to view or purchase the art to view the prints up close before Art by Volume begin selling the prints online later this month. The project created by Urmston based beer fan and designer Andy Heggs, started as an idea over a beer in The Assembly late last year, as he spotted an interesting creative crossover between beer and music, with beer fans looking for cool artwork to display their favourite beers and breweries. The original prints were created for The Assembly, but after sharing them on social media Andy quickly found there was an appetite for the prints from beer-fans, breweries and bars alike. Prints on exhibition this Wednesday include Faith by Northern Monk Brew Co., Railway Porter by The Five Points Brewing Co., Jaipur by Thornbridge Brewery, and Transmission by Northern Brewing Co.
Art by Volume’s name came from the brewing term ABV, which stands for Alcohol by Volume, with each print the same size as a 12 inch record cover. Prints will go on sale later this month, and will be available to buy from £10 each, with £2.50 from every sale going to homeless charity Shelter. The Assembly is a suburban beerhouse in South Manchester’s hidden gem of Urmston. It is an inclusive space where people from the new beer drinker to the biggest beer fan can go to drink, meet friends and talk beer. Its doors opened in Feb 2018 and it was proud be runner up in the “Manchester Beer Week Awards” for “Best New Bar 2018”. With an offering of 8 keg lines, The Assembly pours beers from a wide range of the most exciting local, national and international breweries, so there really is something to suit everyone. All of the draft beers can also be taken home in 950ml craft beer Crowlers too, so those just passing by can still grab some super tasty, super fresh beer. 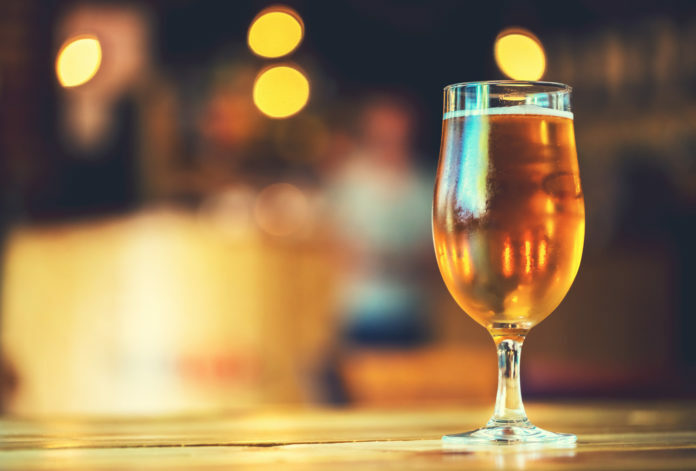 Alongside this extensive range of quality beers there is also a selection of fine wines, a great selection of artisan gins and other spirits with the same emphasis always being on quality. Follow @ArtbyVolume on Twitter as they release a new piece of art daily in the run up to their website launch.